Play out a high-speed chase on water and land with this action-packed LEGO NInjago set, featuring Kai's Katana V11 boat, with speed and attack modes, foldout boosters and spring-loaded shooters. This cool toy for kids also includes Luke Cunningham's street bike, plus 2 mini-figures with weapons to boost the role-play battle action. 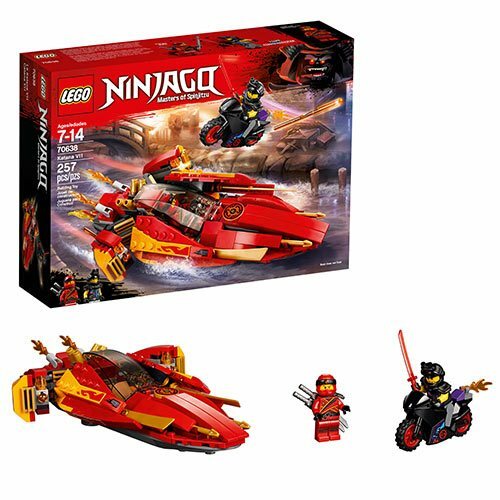 The LEGO Ninjago 70638 Katana V11 includes 257 pieces. Ages 7 to 14.